Lily Hevesh (aka Hevesh5 on YouTube) is a 20-year-old professional domino artist. 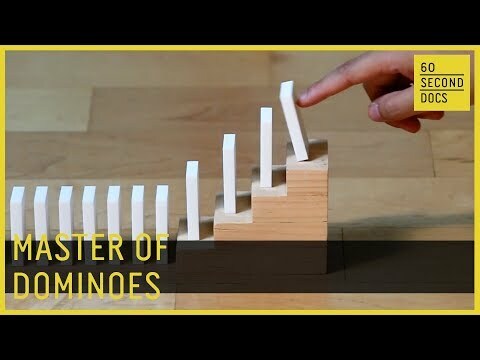 With 83,000+ dominoes in her collection, Hevesh takes 3-4 days to build each masterpiece — no math or equations involved. It’s art that disappears.